It is good that there has been a reversal of thought regarding the Board taking up the issue of the Consent Decree Imposed by the NCAA and signed about two and a half weeks ago on July 23, 2012. I strongly support that decision. Given, among other things, (1) that we were advised such action was not needed, (2) that we have not been provided rigorous background information about the situation leading up to the signing of the document, (3) that we have no report as to the total impact on the University’s fiscal affairs, student educational and employment prospects, accreditation of the institution, alumni and community effects, federal research dollars and investigations, turnover of faculty and staff, football revenue, impact on other sports, future enrollment, pending and possible future lawsuits, future state and federal support for the institution, our ability to help victims of abuse and not be limited in how we help abused victims, and other effects of the document, (4) that the document accepts the Freeh report which this Board has not yet considered, and (5) that we are given minimal notice before a telephone call designated to consider all of these issues, I wish to offer the following concerns and suggestions. 1. The Charter of the University appears to require 10 days written notice before non-regular meetings. The By-Laws appear to conflict with the Charter on this issue and talk about 3 days’ notice. If there is a conflict, it would seem the Charter would control and from a procedural compliance standpoint, the notice given would be insufficient for any official action. Acting under such a cloud could result in further issues and confusion. Secondly, it would seem the Charter contemplates Board meetings be held at a specific place and not by telephone. Being in a face to face discussion and debate is essential for a full and fair consideration of this issue. From a practical and fairness perspective, and wishing to encourage due process, given that there has been a delay of two and a half weeks in coming to believe such a meeting to consider this issue is now appropriate, there is no need to now rush to judgment without proper background and appropriate deliberation. Proper background is offered below. 2. A full report from the Administration and knowledgeable attorney should be provided to allow Board review of the advice we were given that Board approval was not needed for the Consent Decree Imposed by the NCAA. This is needed to understand what action we are being asked to take and why. The fact that we were given advice in one direction and now we are being asked to act in a contrary direction, raises questions as to the appropriateness of advice provided to us and during the discussions with the NCAA. 3. Implicit in any debate and acceptance of the Consent Decree Imposed by the NCAA is Board acceptance of the Freeh report. The Board has not received full background on the Freeh report, has not yet received its internal committee reports on the Freeh report, and has not debated and accepted the Freeh report, nor the Administration’s recommendations on the Freeh report. To the contrary, the Freeh report has come under increasing attack for a variety of reasons and the Board has discussed making determinations as to which recommendations of the Freeh report it will consider accepting and implementing, and therefore, which ones it will not. I do not believe we can accept the Freeh report for the purpose of the Consent Decree Imposed by the NCAA and then turn away any recommendations within the Freeh report. 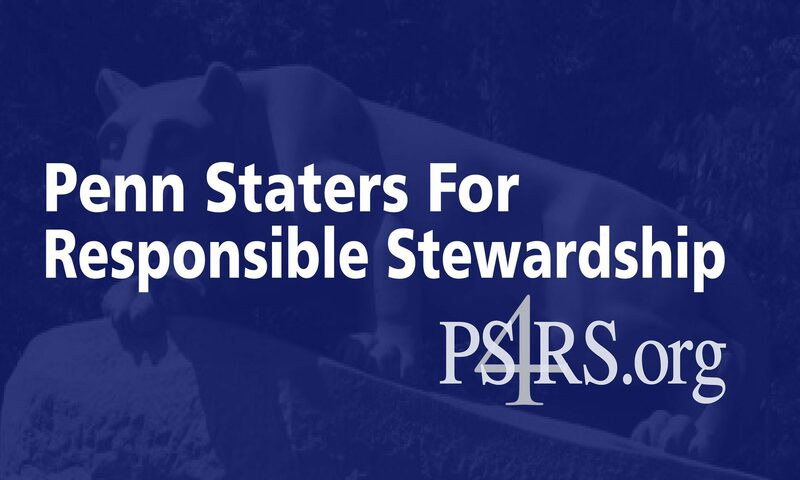 Accordingly, before a vote on the Consent Decree Imposed by the NCAA, a full report from the Administration analyzing the Freeh report, full review by our Board committees, and a full review, discussion and debate by the Board is needed as to the Freeh report. And a study and report from the Administration and our Board committees created for these purposes, detailing what effect the vote to accept the Freeh report would have on the University’s fiscal affairs, student educational and employment prospects, accreditation of the institution, alumni and community effects, federal research dollars and investigations, turnover of faculty and staff, football revenue, impact on other sports, future enrollment, pending and possible future lawsuits, future state and federal support for the institution, our ability to help victims of abuse and not be limited in how we help abused victims, and other areas, would be absolutely essential to case an informed vote on the Freeh report. 4. Following the conclusion of the actions in Item 3 above and considerations of the information relative to Item 2 above, we would be in a position to receive a full report from the Administration about the situation leading up to the signing of the Consent Decree Imposed by the NCAA. We need to understand if improper or illegal coercion was brought to bear on the University to extract a signature on the document. Questions about threats designed to prevent the President from bringing the discussions taking place with the NCAA to the Board (which in itself would violate Freeh report recommendations) would be needed. And we need a study and report from the Administration and a knowledgeable attorney detailing what effect the vote to accept the Consent Decree Imposed by the NCAA would have on the University’s fiscal affairs, student educational and employment prospects, accreditation of the institution, alumni and community effects, federal research dollars and investigations, turnover of faculty and staff, football revenue, impact on other sports, future enrollment, pending and possible future lawsuits, future state and federal support for the institution, our ability to help victims of abuse and not be limited in how we help abused victims, and other areas, would be important and essential to cast an informed vote. Casting properly informed votes is what I consider my fiduciary duty to require. At present I and other trustees do not have the information to carry out that duty. Accordingly, I request we use the Sunday phone call to informally discuss how Items 2, 3,and 4 above will be addressed and accomplished in open public meetings at a place and time that aids in the transparency we have agreed on and committed to, and accomplishes one Freeh report recommendation I agree with of the Board exercising its appropriate responsibilities. Hopefully we can agree on this approach prior to the meeting. For the glory of this great university. P.S. As far as I am concerned, this is a public meeting and I plan to share this with the alumni (my constituency) who wrote to me. AMEN. Thank you Dr. Myers and Ryan McCombie. Now the if BOT follows your suggestions/ directions they will be on the right track!! Meanwhile I believe the Paterno family and Football Players can and should continue independently with the process they have begun. I also believe that the US Congress should begin hearings into this NCAA mess, right after November elections. Fantastic letter Mr. Myers. Thank you leading the charge to defend our University’s reputation. Shine the bright lights on this issue to determine why some in the Administration and the BOT are in such a rush “to get this behind us”. As an aside, from reading the Freeh report and considering current events, the University’s attorney’s don’t appear to be giving you very good or clear or consistent advice. Thank you Joel for your thoughful approach to this situation. If proper due diligence had been applied from the beginning we would not be in this current situation.